Well I can tell you that the Spanish Mackerel are here and they are thick!!!! Today was perfect, weather was beautiful and the BIG SPANISH were biting. 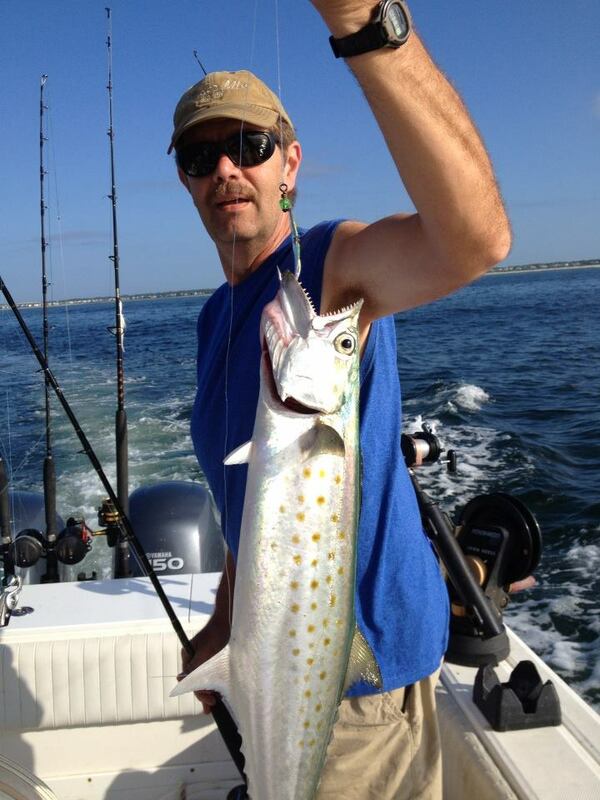 Check out Randy Sizemore from the Elkin, NC area with his first Spanish Mackerel this morning. We also spent the last hour and a half shark fishing and were able to land six or seven decent sharks. The fish are definitly biting, everything from backwater to blue water!!!!! Today I had one of my best repeats book a Gulf Stream trip for just him and only him. We left the dock 5am sharp and pointed the bow offshore. After a 50 mile run we were both ready to put the baits out and start fishing, the anticipation was killing us. To my surprise I actually was able to put a whole spread out but it wasn’t long and we were doubled up with a pair of decent fish. 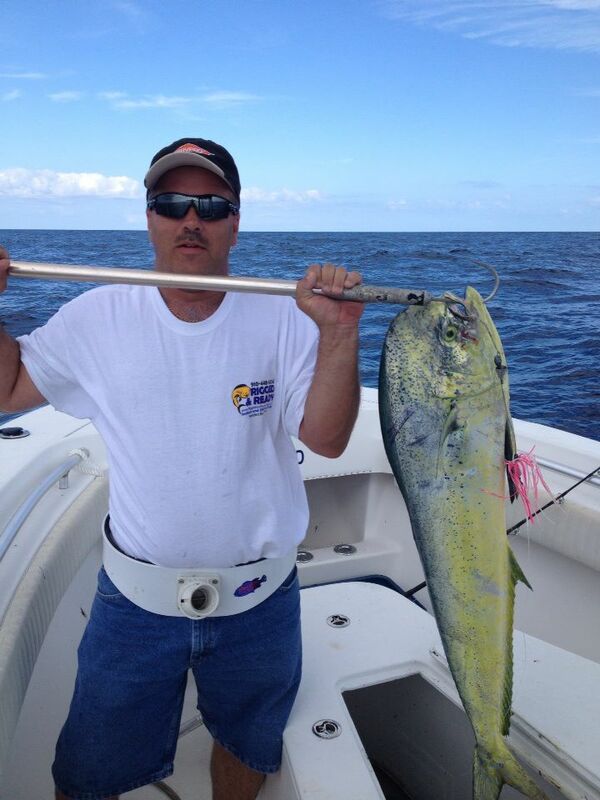 We ended the trip with several Mahi and caught a few Amber Jacks while jigging around a wreck.